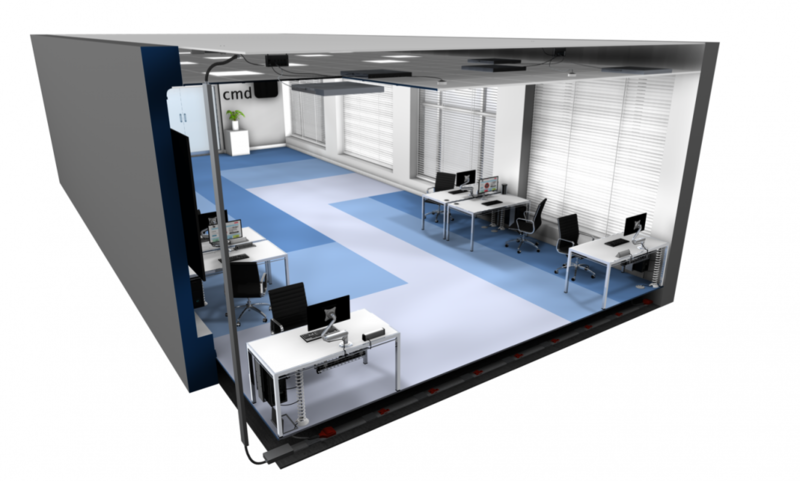 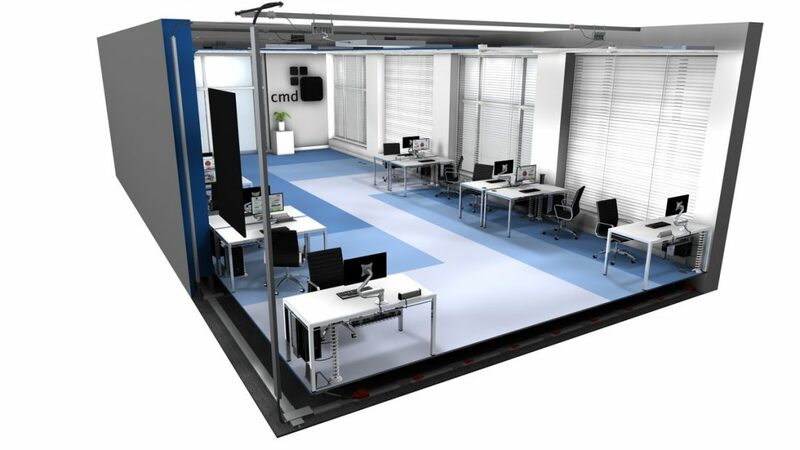 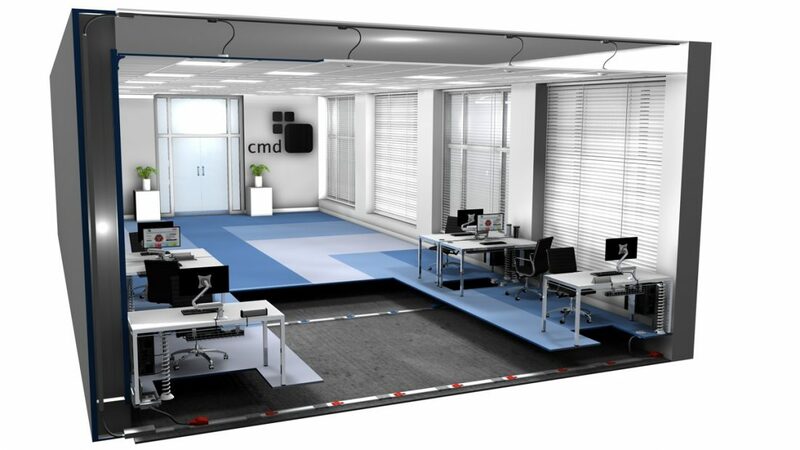 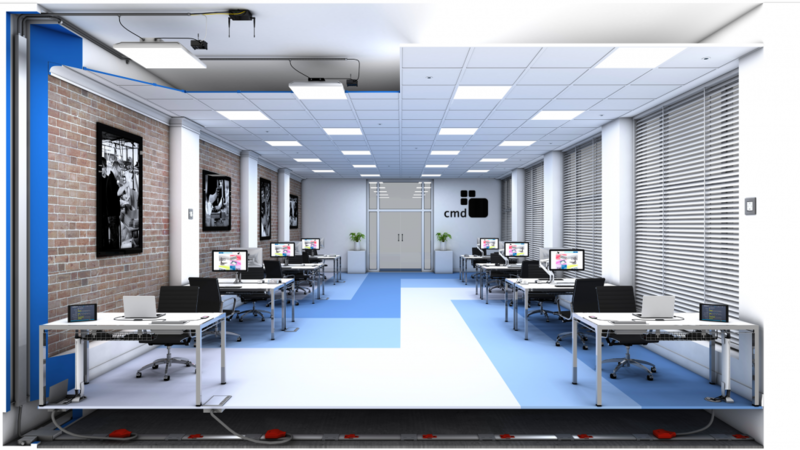 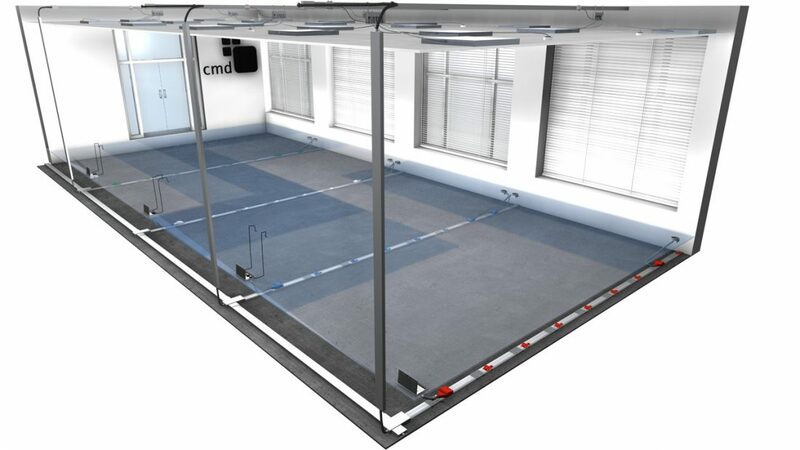 We recently worked on producing this 3D interior visualisation for CMD Ltd. 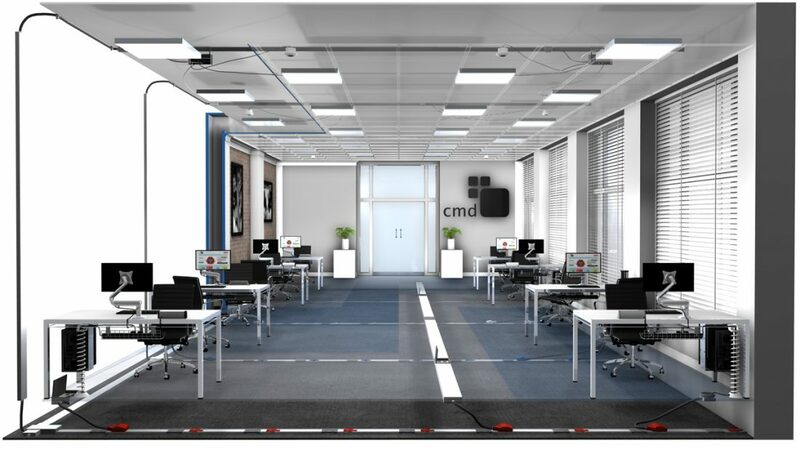 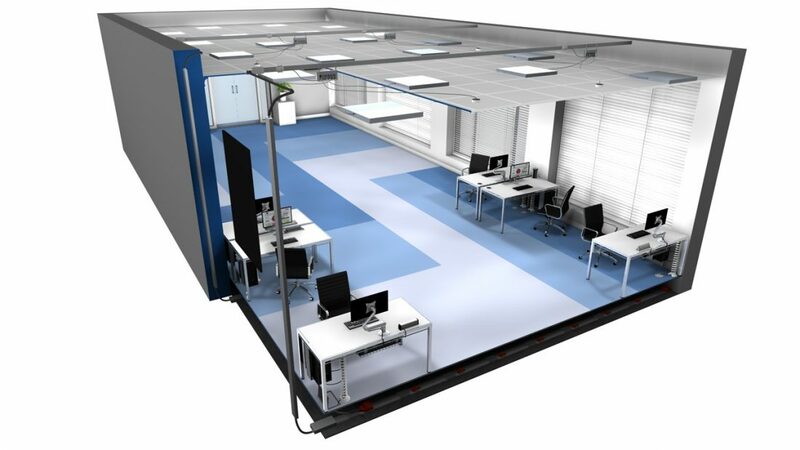 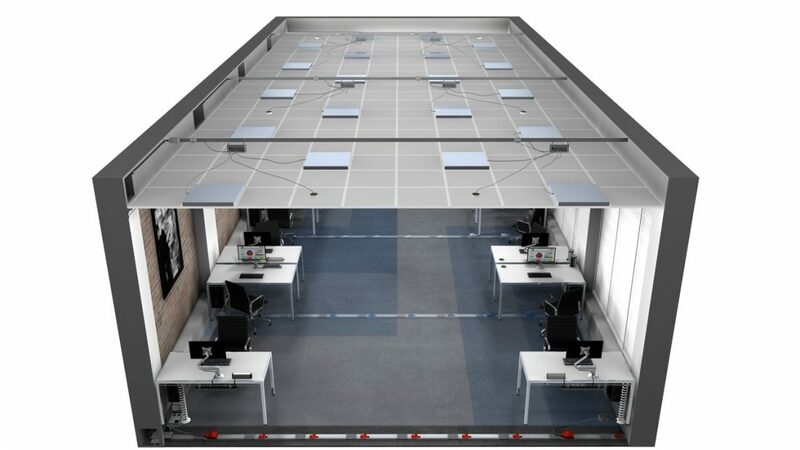 They needed a 3D visualisation that demonstrated their unique integrated product system that links internal power distribution through to under desk and on desk options. 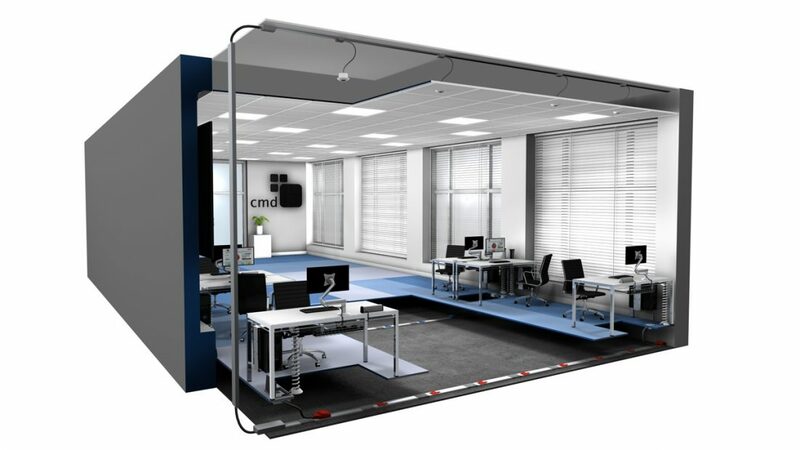 Further to this also to market their new product range such as monitor arms & on desk connections they produce. 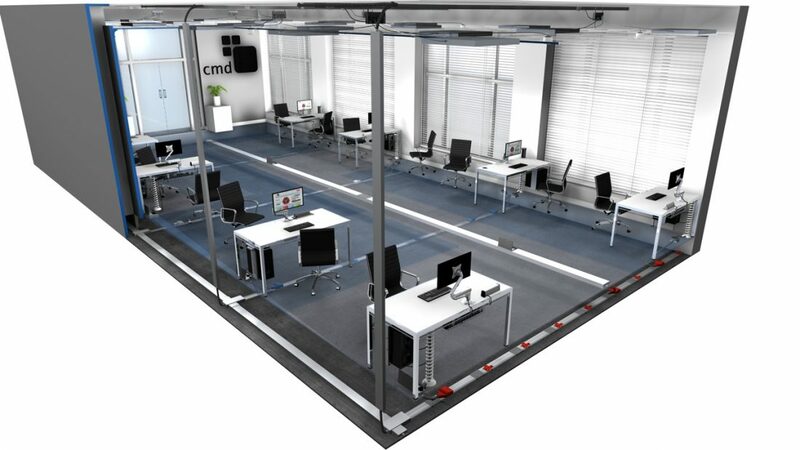 The project consisted of importing the product CAD files and building 3D objects of CMDs newer products where the CAD files were not available.